DCI Graphtite™ Rear Main Seals for Pontiac 3″ and 3.25″ rear main journals. 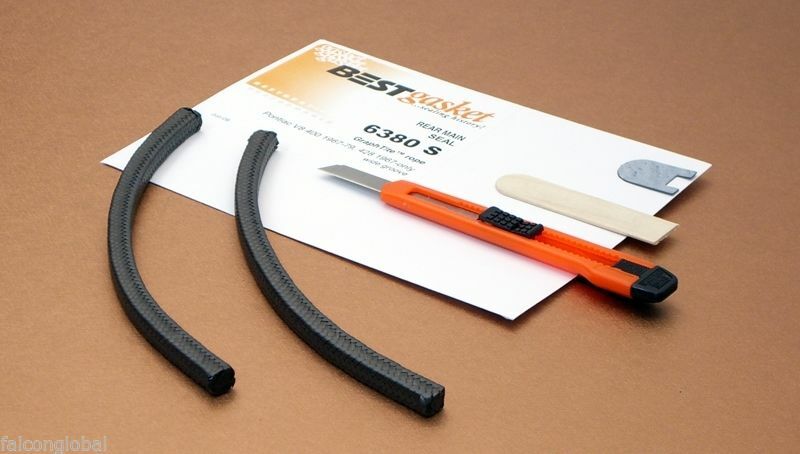 Do it right and do it once with a Graphtite rear main seal for your Pontiac. Up until the 1990’s, manufacturers used asbestos to seal rear mains. When asbestos was no longer used, leaks became ever more common, until now. The GraphTite™ rope seals are miles ahead of any rope seal available today, arguably better than the original asbestos. As the name implies, the unique rope seals include graphite, the natural rock material that can be found in pencils and as a lubricant. More importantly, graphite is an excellent conductor of heat and can easily handle temperatures as high as 1,800 degrees F. Though these seals are more sophisticated than just this ingredient, it does explain why this is an excellent alternative to asbestos. Each kit includes GraphTite seals, installation instructions, a special knife and trimming tools, everything you need to install.